Is your insulation costing you money? If your home is 20 years of age or older it is. Even newer homes can suffer from poor insulation. The best way to fix the problem? Insulation service in Newberg from the professionals at Northwest Weatherization. Worn insulation lets the temperature equalize much easier. That means cold air gets in on cold days and hot air gets in on hot days. During temperature extremes, the outside is always trying to equalize with the inside. New insulation keeps this from happening. It starts with a free home energy audit . Our experts will analyze your home and show you how home re-insulation can save you money today. Go local. We’re your Northwest insulation experts. Recoup as much as 40% of the cost of installation using rebates! Different updates offer different rebate opportunities. Our technicians know them all. We will help you identify and maximize your rebates! Get high-quality insulation products installed by local experts. Choose more than 20 years of experience. We know the Northwest. You can rely on our 25+ years insulating NW homes. Our technicians are certified. Each technician installing your insulation is certified through PTCS and BPI. We make service even more affordable. Our products are bought factory direct. Enjoy quality without the inflated cost. Save even more through rebates. Save green while you go green. We help you receive every available rebate. 1Floor insulation protects your home's very foundation. Floors are easy to ignore, but that’s a major mistake. They open up to the underside of your home. This crawlspace lets in cold air 24/7. We put a stop to it by installing vapor barriers. These protect from moisture and cold air. We also insulate piping, seal hatches, and can fully insulate your basement walls. 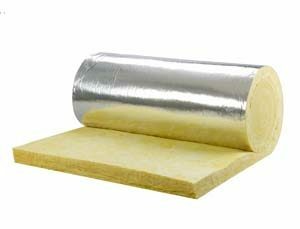 2Wall insulation can reduce heat loss by up to 2/3. We use spray-in insulation. This is the best option for walls. It stops heat loss better than other options because it is form fitting. That means complete insulation around piping, beams, and electrical units. It doesn’t settle and is even resistant to mold and mildew. 3If you have a ducted system you need air sealing. Your HVAC system loses efficiency when there are gaps. Air gets out before it reaches your filter. This spreads contaminants like viruses, allergens, and worse. It also lets pests get in and out of your ducts. Breath safer. We can help by completely sealing your duct system. 4Even new homes may have inefficient windows. More efficient windows are released every single year. We can determine if new windows will make a substantial difference to your energy bills. Options like double pane and argon filled windows prevent heat loss. New options also include UV protection and improved sound proofing. Your older windows may even let moisture and mold in. Why take the risk? Contact us for insulation service in Newberg today! Insulate your Newberg home now. We can improve the comfort of your home and save you money every month. 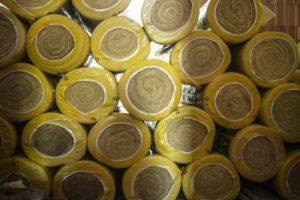 Insulate your investment now. Call or contact us today to schedule your free home energy audit!